Some of you may be at a crossroads in your career right now and simply unsure which direction to take. Perhaps you’re just starting out, fresh from high school or University and are confused with how many choices there are and options that are available to you. Maybe you’ve been in the workforce for a while already but feel stale in your job and seem to have lost your passion and ‘mojo.’ The fun and enjoyment in your role just don’t seem to be there anymore. In fact, your work is a chore! even more difficult, because you don’t know what path you want your career to take. enjoying it. He began a BA in communications and still it didn’t click. work. And he loves it. He’s got his flow. He’s found his rhythm. So never give up. You’ll find what you want. If, on the other end of your career you feel burnt out by the job you already have and really question if you want to stay in the role or even in the industry, think about your goals first. Should you set goals for the long or short term? Or just hope that one day you awaken with an ‘aha’ moment realising you have found the answer to what you want to do? No. Let’s start planning now. multinational Organisation. Cake-baking may lead you into catering, owning bakeries or restaurants. Generally, remember that if you enjoy something, you’ll tend to stick at it longer than if you don’t. need to be specific, measurable, achievable, realistic and time-bound. Search the internet for more on SMART goals or read more about SMART goals here. Speak to your team leader or manager. Their role is to develop and grow you, and they are often able to create new paths for you within your Organisation. not enjoying what you are doing. Nothing’s set in concrete. had seems a distant memory now? can mentor them, put them onto a learning and development Program in which they’re interested, or help them upskill by paying for additional studies for them. Good people are hard (and costly!) to find, so work with them to keep them. How to be successful in our careers is not always clear to us. In particular, women in leadership are not the only women who would enjoy further upskilling and development. We all do. There are countless others who are equally successful in other careers and at all levels of a Company – receptionists, sales reps, clerical officers and entrepreneurs, for example. But understanding what you enjoy, designing and setting goals (even if you have to adjust them later), designing a development plan and getting help are wonderful and productive ways to ignite your career at any age and every level. 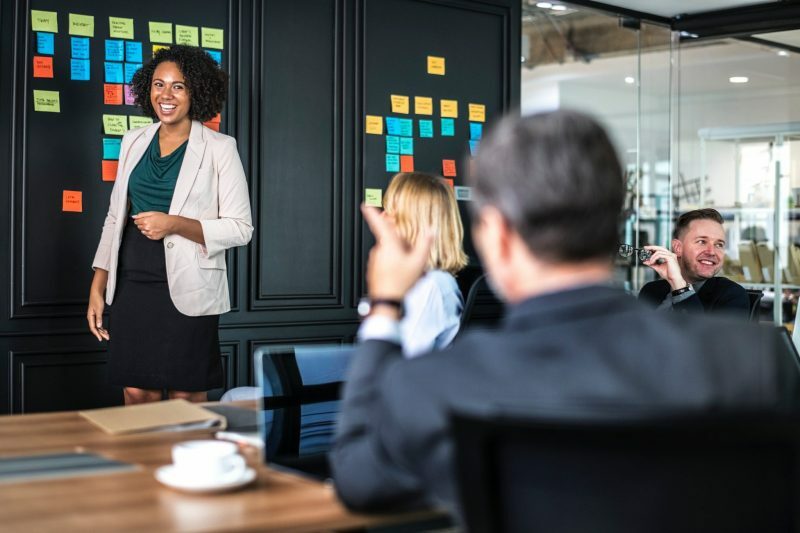 Empowering Women to Thrive at Work is an interactive 12 stage Program customised to suit your needs or those of the women in your Organisation. To find out more, visit my website. You can also try out our Personal Empowerment session free!